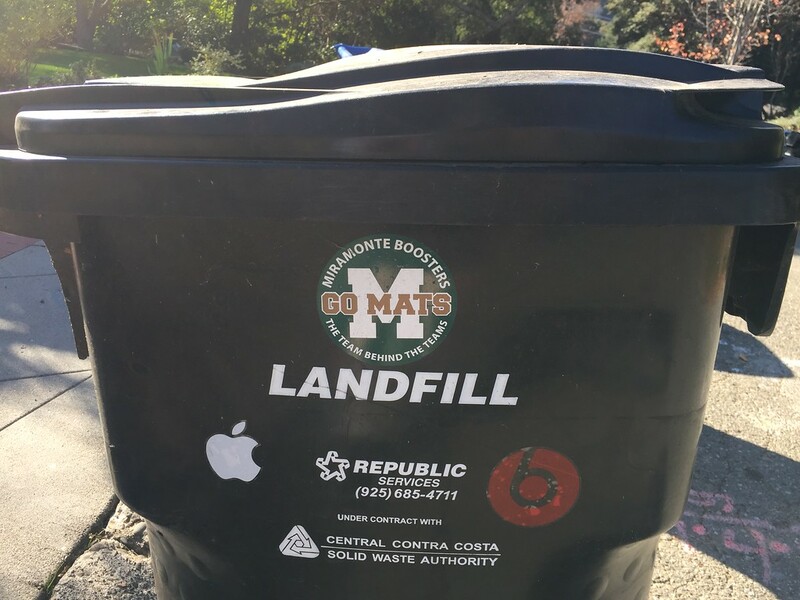 A sad day for the faithful - an Apple sticker stuck on a garbage can! Somebody out of protest or simply disinterest used an Apple sticker to "decorate" their garbage can! At the top is a sticker for our local high school, but I attended that school and those were some of the saddest years of my life. So this too could be placed there with a derogatory intent. Whether the sticker is there for distraction or protest, it certainly doesn't not reflect well on a company that once was tops for customer loyalty. Perhaps Tim Cook needs to see this photo in order for him to finally understand what effect his tenure has had on the reputation of Apple Computer.